Skin care shouldn’t be a chore. You want all natural face soap that isn’t single purpose. That’s why we’ve combined a face and body soap that’s perfect for cleaning your beard too. Our organic soap bars are one of the smartest ways to get clean, and choosing the right bar of soap for your skin has never been easier. Natural soap for oily skin and acne. Sensitive skin can be sensitive to a wide range of outside influences. Your skin’s overproduction of oil, air quality, hard water, and daily dirt and grime all have an impact. You want a soap that doesn’t just replenish dry skin, especially on sensitive visible areas like your neck, cheeks, and forehead, but actively clears away oil, dirt, and toxins. That’s why we’ve created the Mr. Clay Organic Beard and Body Soap. 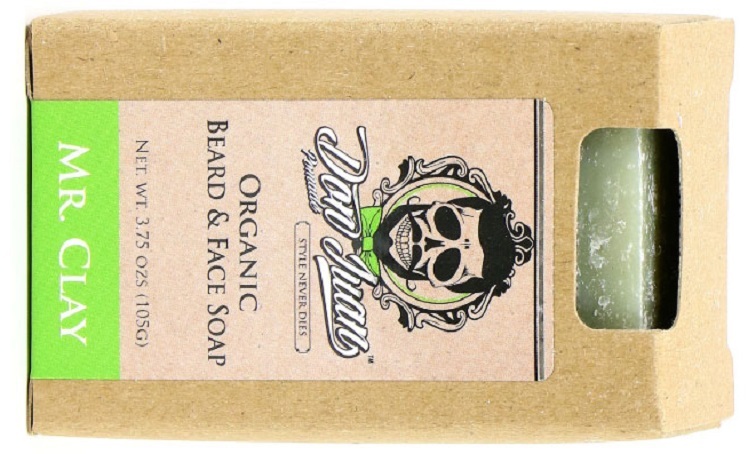 This all-over soap contains some of the best natural ingredients for beard and skin health. 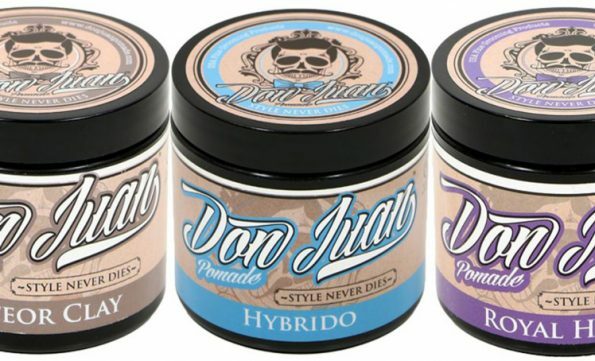 What makes it so good at transforming a dirty Don into a Don Juan? There’s a reason French green clay has been valued as a complete skin care solution across the ages. It’s incredibly absorbent. As you wash the green clay actually pulls in and soaks up oils and grease. It performs extra-duty by exfoliating your skin as well. This is why you’ll find green clay in a wide range of beauty products. Just because its mainstay is in the beauty section, that doesn’t mean French green clay doesn’t have the manly street-cred you want in a body soap. It’s most frequently mined in the North of France and the Atlantic Ocean. With a high mineral content that includes calcium, silica, copper, and zinc, these minerals actually help your skin to look and feel its best. Our soap bars are made using organic coconut, olive and saponified palm oil. These carrier oils help your skin to absorb beneficial minerals into the topmost layers of your skin. What do the minerals in French clay do? Calcium – Aids in skin regeneration. It helps your body to regulate cellular growth, replacing worn-out skin cells with shiny new ones. Without enough calcium, that regeneration process slows down. Magnesium – This is a catch-all mineral. You need magnesium to regulate stress hormones like cortisol. That means magnesium helps you stay cool, even in stressful situations. It also reduces the oiliness of your skin by breaking apart oils and fats. That can prevent breakouts and shrink your pores. Manganese – You’ve got to have manganese to produce collagen. What does collagen do? It keeps your skin looking firm, healthy, and tight. 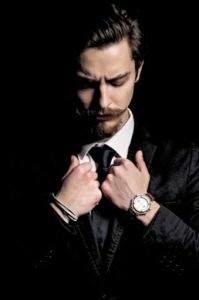 A modern Don Juan knows beard, body, and facial skin health are all tied together. Our beard and body soap focuses on all three at one time, simplifying your morning routine one wash at a time. Silica – Delivers the strong hair, nails, and skin you want. It’s naturally found in all three and helps keep the collagen you produce healthy while improving the elasticity of your skin. You don’t need a beauty regime with the right body bar. French Clay makes it happen. Copper – You’ll find copper in sunscreen for a reason. Copper peptides help remove your skin’s damaged cells and proteins. It can help to reduce acne scars making it the perfect addition to your morning routine if you suffer from skin damage due to rosacea or psoriasis. Selenium – This is your skin’s damage blocker. Selenium protects the outside of your skin cell membranes. It neutralizes skin damaging agents like free radicals. That keeps you from getting fine lines, so you can look your best at every age. Zinc – Helps to regulate cell production in your skin. That makes it great for reducing skin inflammation and the amount of oil your skin produces, helping control oily skin and keep pores from clogging. That can eliminate blackheads and prevent the kind of breakouts that lead to acne scarring. The oils you need for healthier skin. Our beard and face soaps use saponified palm, coconut, and olive oils. These are the best oils to maintain the health of your skin and hair. Coconut and olive oils are especially moisturizing and clean your skin without leaving an oily feeling behind them. What makes our body soaps so much different than your standard body soap? One answer. Sodium Lauryl Sulfate. This is one of the most common ingredients in body soaps, and while you might not notice the drying effect it has on your body, you’ll definitely notice it on your face. This chemical wipes out the natural oils on your skin. That can be devastating for your face. We don’t use unnatural products including Sodium Lauryl Sulfate in our soaps. 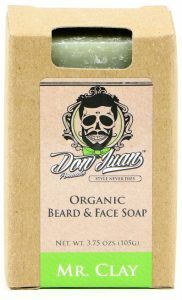 Oils provide protection, and a great soap like Don Juan’s is formulated to remove dirty oil buildup while replenishing your skin with non-pore clogging oils. That’s why ours are made with organic coconut and olive oil. The clear winner? Don Juan face and body soap. It’s strong enough to clean your body, sensitive enough to clean and protect your face, and made to bring out your inner Don Juan. 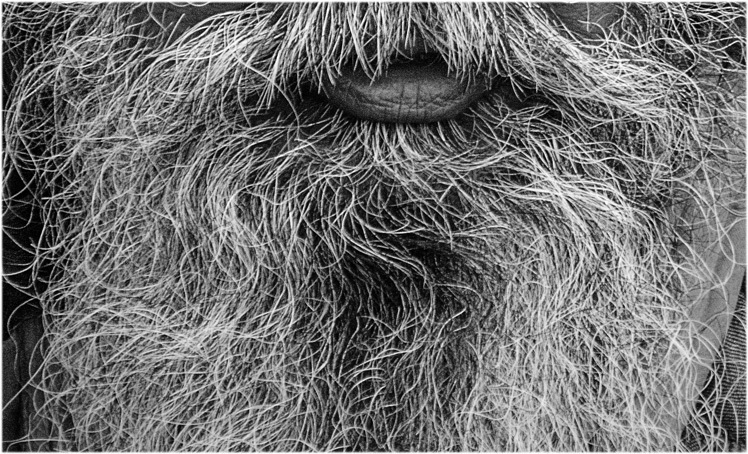 Should you wash your beard with soap or shampoo? Can you clean your beard with shampoo? Of course, you can. But if you end up with flaky, dry skin; now you know why. A shampoo is designed to clean your hair. It’s much tougher than the soap you’ll want to use on your beard. The skin on your face is more likely to thin as you age. That can lead to easy breaking and bruising. Shampoo is harsh on your skin, and while it won’t speed this process up it will strip the oils out of your skin that protects it. Your beard hair is also finer than the hair on your head. It can be easily damaged by abrasive shampoos. Our body and face soaps are formulated for faces and bodies. Leave shampoo on your head where it belongs. We get your beard clean without ruining your body’s natural protection. 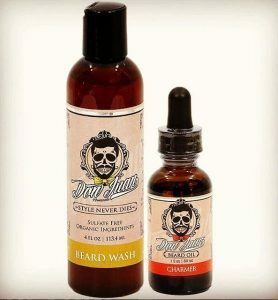 Cleans your beard and protects your natural facial oils. Formulated for facial and body skin—one bar, two uses. All organic face soap that is not tested on animals. Unclogs pores; removes dirt and grease. Replenishes and protects with non-acne causing oils. All natural; moisturizes and protects skin from sun damage. 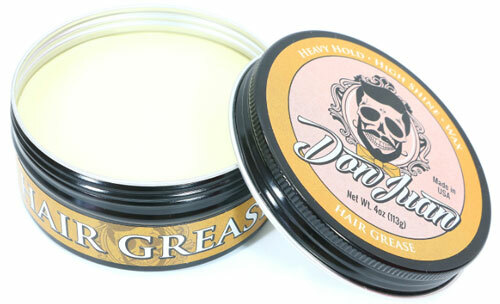 Smells great and brings out your inner Don Juan. You don’t have to wash your beard every day, but if you do, Don Juan’s Beard and Body Soap is the only bar you need to reach for. We’ve designed a body soap that’s gentle enough for your beard and tough enough for your body. No more multi-washes. Get it all done with one bar, and let your inner Don shine.